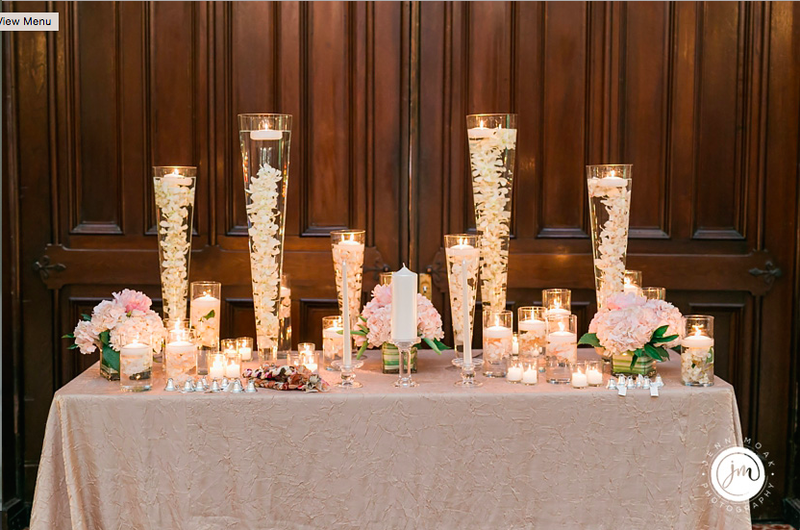 The warm glow of candlelight creates a romantic effect without the use of flowers. 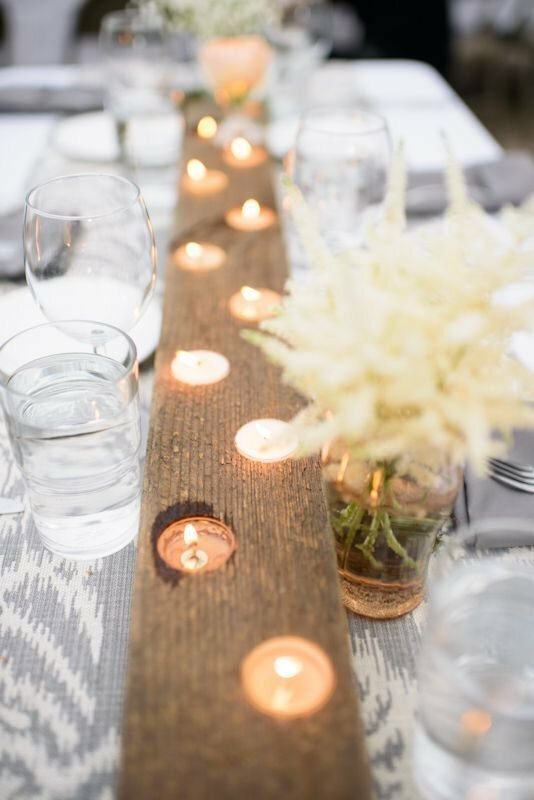 To create a cozy, romantic atmosphere at the ceremony or reception, consider incorporating candles — either real or flameless (safety first!) — into the decor. 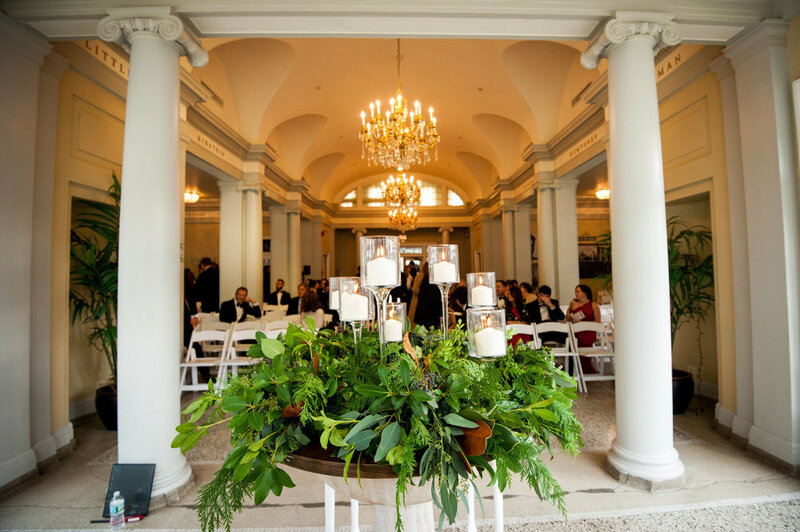 Tealights can add the ambiance, and pillar candles in hurricanes or lanterns will look really stylish, but for full on romance, it has to be tall candelabras for a dramatic feel. Take a look here for some inspiration- a few from our own Bisou brides!